Get ready. On July 6, we're crossing the Red Sea -- but not before we have dinner. You and your family are leaving the only home you've known. You're all stuck at the edge of a huge sea with some mean people chasing after you. Together you witness nature doing things you could have never imagined . . . and that's just the beginning of the story. So many of the stories we find in the Old Testament, like the "Deliverance at the Red Sea," are vivid, gripping, and truly awesome. 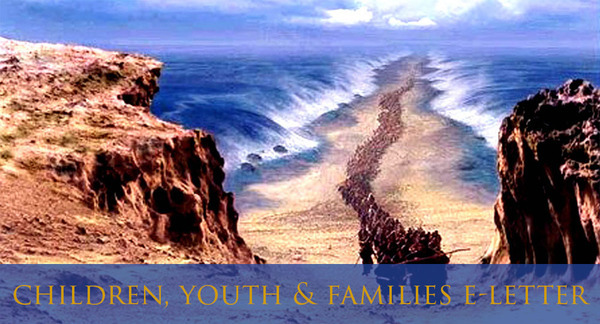 We invite you and your family to explore this and other incredible Old Testament stories with kids, teens and adults at our brand new six-week intergenerational program on Wednesday evenings this summer. Summer Suppers is our new intergenerational, bilingual summer program designed to provide worship, learning, and community to our diverse congregation and neighborhood in July and August. We invite you, along with friends and family, to join us on six consecutive Wednesdays in July and August for dinner and worship with people of all ages, speaking both English and Spanish, followed by Bible study in groups ranging from small children to adults. We begin our intergenerational journey through the Old Testament on July 6. Register today! Program fees are minimal and scholarships are available, but all participants are asked to register so we know how to prepare. I hope you and your family can join us for Summer Suppers!